are they really good, really lucky, or really just crazy? Also Tier PXG is pretty funny. Bold Prediction: the Worlds winner will have on their team! Bold might not be the right word, maybe "touched", or " gifted". You know in the same way that people in straight jackets are some times euphamized. I mean it's possible that people will have Vixen on their PERSON at worlds, but not on their teams. Not sure what I mean by *that*. 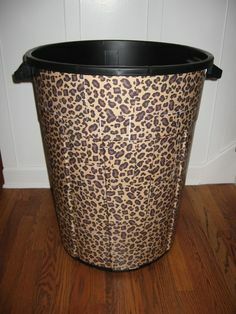 Vixen ON a trash can eh? Cyborg: Exceptionally Gifted is listed twice: tier II and III. Great list. Kinda think Speedster is more tier II. I know personally if I seem him I take him first. If he has at least 2 dice. Hawkman: World's Fiercest Attacker needs to be in the same tier as Cheetah: Cursed Archaeologist. Their cards are exactly the same except Hawkman is "blocked" while Cheetah is "attacks." I don't expect any opponent in their right mind would allow Hawkman to get through to avoid taking only 1 damage from blocking him. This basically means Hawkman has the same effect as Cheetah giving auto-damage when she attacks and is blocked. but cheetah cannot be stopped in any way, but an opponent can simply let Hawkman threw to get him off the field and get him back into the bag for a minute. So I can see why he is not on the same level of Cheetah because you cannot stop the damage in any way in rainbow. In addition, Cheetah is a villain AND a bolt. Hawkman is only one. Cheetah keeps you open. And cats eat birds, so there's that too.